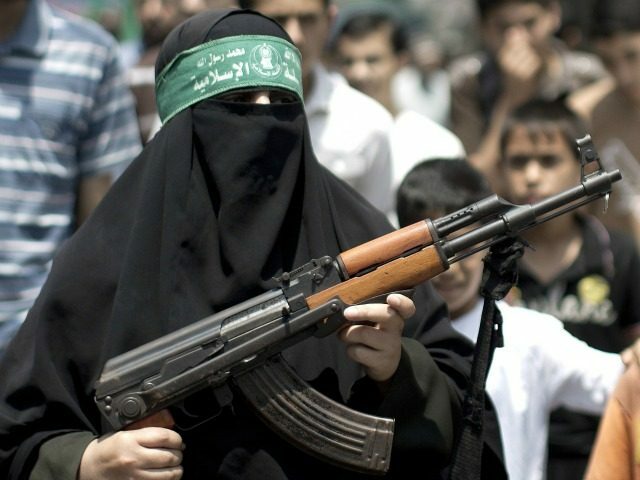 WASHINGTON, DC — A group of Republican and Democrat lawmakers has joined forces to pen a letter to United States Ambassador to the United Nations Nikki Haley, asking her to clarify what appears to be a major diversion from U.S. policy when she implied that there is a distinction between “political” and military leaders of the Hamas terrorist organization. “We are writing with deep concern over U.S. policy toward Hamas and your recent statements regarding Qatar-based support for Hamas,” the bipartisan group of legislators wrote to Haley asking her to clarify her statement to the House Foreign Affairs Committee last week. The lawmakers include Representatives Robert Pittinger (R-NC), Bradley Schneider (D-IL), Ted Poe (R-TX), Ted Lieu (D-CA), Ron DeSantis (R-FL), Josh Gottheimer (D-NJ), Ron Bacon (R-NE), and Krysten Sinema (D-AZ). Haley’s remarks appear to be a retraction from her pervious statements on the issue and have caused many to speculate that they lead back to Secretary of State Rex Tillerson. Her revised statements also appear to expose a staunch disconnect between the State Department’s rhetoric and the White House’s policy when it comes to the Qatar issue and the diplomatic dispute surrounding it. A Republican operative with extensive foreign policy experience on the Hill told Breitbart News exclusively, “There are only two possibilities: Either Nikki haley has ‘gone rogue,’ or she was used as a pawn by State Department careerists who want to whitewash not just Qatar’s overt funding of Hamas, but to use the darling of the pro-Israel movement to have U.S. policy mimic the European Left’s position that Hamas has both military and political arms.